F&F showcases its Christmas 2018 collection, now available in Tesco Superstores & Extras, in a new ad, encouraging women to get party read with the brand’s latest range. 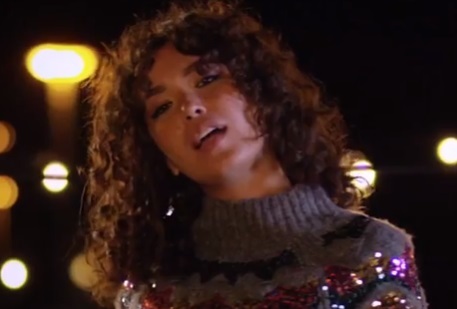 The 30-second spot features two models in a Tesco parking lot, rocking some of the pieces from F&F’s new collection, including a sequin dress (£40), a multi-stripe sequin dress (£40), a silver jumpsuit (£20), a Fair Isle jumper embellished with colorful sequins (£25) paired with a foil pleated skirt (£22), a sequin cami top (£18) and others. The advert, scored by a remixed rendition of the popular Christmas carol Jingle Bells, ends with the “I only popped in to buy cereal” flashing across the screen. “This festive season, a new take on sequins and sparkle are at the forefront of our partywear collection across new categories including knitwear,” F&F Design Director Jan Marchant said. The collection is available for purchase in 526 stores.